Sanjay Dutt Records Ganesh Aarti for 'Bhoomi', Director Omung Kumar Aims for a Viral Response! Reportedly, Actor Sanjay Dutt is recording a Ganesh Aarti for his much awaited Bollywood comeback film "Bhoomi". The film's director Omung Kumar is all praises for Sanju Baba's performance and says he is confident that the song will be a hit. When asked about the situation of the song in the film, Omung said, "Basically it is for a scene in the film where Sanjay is performing a Ganesh Aarti. It is an opening scene of the film and the same opening you see in the trailer as well. So when the idea came up that we should record, we all immediately said 'yes'. Sanjay Dutt in his ever composed charm, when asked about the song, said: "If you have seen the trailer, it starts with 'Jai Ganesh'. It is also a very important part in the film. We all sat down and decided that we should make a song which depicts this main part of the film." 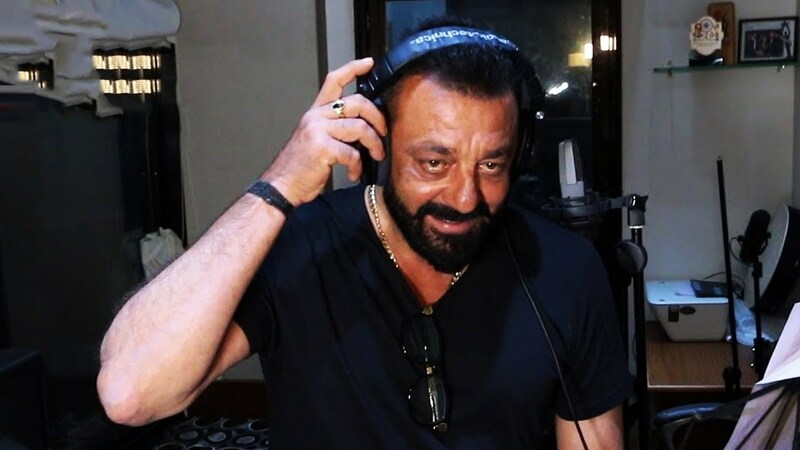 Speaking on the current state of the song, Sanjay Dutt commented, "The training is going on, right now I am learning how to sing the song. I am not a singer... The song has to be sung very beautifully, so I am trying my best to sound better. I am a bit nervous, but let's see." In his own words, Sanjay Dutt is very happy to "sing a great song for 'Bappa'". He even expressed his connection with Lord Ganesha, saying, "We celebrate Ganesh Chaturthi at my house... We worship him a lot, so I feel lucky that I have the chance to sing this song for him." Although people in the B-town have certain worries about his confidence, the actor himself seems calm and confident about his comeback film. "I am not nervous at all because we have worked very hard for the film and we all have put our blood and soul into it. So we will receive our rightful result. ", he said. "Bhoomi" is hailed as a revenge drama revolving around the tousled relationship of a father and a daughter. Actress Aditi Rao Hydari will essay the role of Sanjay's daughter in the film.